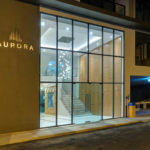 AURORA PRATUMNAK 2 Awards Guaranteed From Thailand Property Awards. Unique and prime located AURORA Condominium in Pattaya, 300m from beachfront. Best deal in residential proprerty. AURORA FOR RENT. AURORA FOR SALE.